Embrace the natural rhythm of life! That’s the mantra of healthy snack company Pulsin – the creators of the all natural, deliciously decadent Protein Boosters, Raw Choc Brownies, Protein Powders, Porridge Oat Bars and Kids’ Fruity Oat Bars. Pulsin go above and beyond to deliver highly nutritious foods that transform everyday eating occasions into health optimising opportunities that maintain and enhance your natural balanced state. 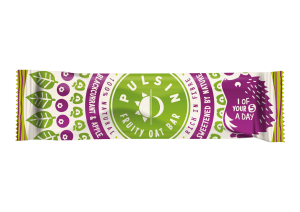 So, whether you’re battling the commuter chaos, dropping a track or powering through a workout, the Pulsin range will help you maintain your energy levels, increase your protein intake and enjoy some guilt-free snacking.